2013 NFL Draft: Can the First Rounders Make Rookie Fantasy Impacts? 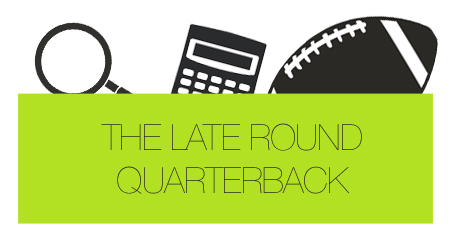 Archived Content 2013 NFL Draft: Can the First Rounders Make Rookie Fantasy Impacts? You can step away from your Twitter account. The first round of the 2013 NFL Draft is in the books. Instead of speculating where certain players will get drafted, we can now shift our attention to the world of fantasy football. Interestingly enough, there were only five drafted offensive skill players, the lowest amount of offensive skilled position first rounders since 1975. Below you’ll find a rundown of these players that got drafted in the first round, and what to make of them from a fantasy perspective. Line him up in the slot, place him in the backfield, send him out on punt and kick returns; whatever you need from him, wherever you need him to line up, just put him there, give him the ball and let the electrifying Austin run wild. The Rams were the team Austin was connected to most, and in order to snag him before any other team, the Rams traded picks #16, #46, #78 and #222, for picks #8 and #71. Whenever a team trades up for a player, you know they have big plans for him. And with the Rams losing top receiver Danny Amendola to the Patriots this off-season, Austin should be able to slip into that slot receiver role without much competition. Especially when you consider their two unheralded receivers, Chris Givens and Brian Quick, atop their receiving depth chart pre-draft. Pro Football Focus PPR Projections for Austin see him catching 59 balls for 662 yards and rushing for 88 more. They think he’ll score 3 total touchdowns for 152 fantasy points. That projection has him at WR55, and really, that would have been good enough for WR45 in PPR leagues last season. Austin currently has a MyFantasyLeague ADP of 126.56, which would cost you anywhere between a 10th and 11th round draft pick in 12-team leagues. Other wide receivers going around his ADP are Alshon Jeffrey, Chris Givens, and Vincent Brown. They’re each guys that we’re drafting on potential, which is all we can hope for with Austin at the moment, as well. Think of T.Y. Hilton from last year when trying to gauge Austin’s potential as rookie wide receiver. Hilton ended the season as the 24th highest scoring fantasy wide receiver in standard leagues last year, but he was inconsistent. That’s to be expected when it comes to rookie wide receivers (something to also remember when considering DeAndre Hopkins or Cordarrelle Patterson). The one thing Austin has going for him is opportunity. Givens, Quick and tight end Jared Cook are looked at as the Rams’ top three receiving options right now. If Austin grabs the slot spot and becomes the Rams’ return specialist too, he could be looked at as a WR3/4 type with WR2/3 PPR potential in standard leagues. New Bills Head Coach Doug Marrone, former head coach at Syracuse, passed on drafting his college quarterback, Ryan Nassib, to select Manuel. Whether that says more about what Marrone thinks of Manuel or Nassib isn’t known, but Marrone saw something in Manuel to make him the first quarterback drafted, and the only quarterback taken in the first round. There’s been more of an emphasis lately to play rookie quarterbacks, and with the recent success of Andrew Luck, Robert Griffin III and Cam Newton, the Bills could be tempted to start Manuel. With Kolb and Jackson being the only quarterbacks in his way, it wouldn’t be too much of a surprise to see Manuel go from clipboard holder to starter in Buffalo at some point this year. For now, he’s a guy you just want to keep an eye on in 1-QB leagues, kind of like Kaepernick last season, and maybe take a flier on him in 2-QB leagues, potentially as your QB3. Something to keep in mind with Manuel is that he was the second best projected rookie quarterback by RotoViz. One stat in particular that they used was Adjusted Yards Per Attempt (AY/A) in the final year before current NFL starters were drafted. The average AY/A was 8.7, and Manuel’s AY/A was 8.8, second behind Geno Smith’s 9.2, when it came to 2013 rookie quarterbacks. RotoViz rounded up the starting quarterbacks into tiers, and the 8.8 AY/A by Manuel drew comparisons to signal callers in Tier 2 (9.1 to 8.0 AY/A), which included Aaron Rodgers, Peyton Manning, Tom Brady, Eli Manning, Colin Kaepernick, Carson Palmer, and, Brandon Weeden. Minus, Weeden, that’s some good company. Eifert was linked to the Jets, Giants, Falcons and Bears at points during the lead-up to the NFL Draft. But he fell to Cincinnati, and the Bengals drafting Eifert was a pretty smart move. We’ve seen what kind of mismatches offenses create for defenses when lining up in 2-tight end sets, and for a Bengals team looking to build a solid supporting receiving cast around quarterback Andy Dalton, Eifert could become a sneaky TE1 in fantasy this year. That is, if he beats out incumbent Jermaine Gresham – who’s ranked 21st, 13th and 11th among fantasy tight ends over his first three seasons – for the starter’s job. One area to look for Eifert to make his biggest impact in is the red zone. Dalton looked for A.J. Green often in the red zone last year, as he led the team in red zone targets (25). Gresham and Andrew Hawkins tied for second in red zone targets, snagging 14 apiece. Gresham was able to turn four of those twelve red zone targets into touchdowns, and perhaps Eifert will see some of those looks. Eifert, standing at 6’6” with a 4.65 40-time, is an intriguing red zone option. Also, in Eifert’s favor, Gresham was ProFootballFocus’ worst ranked tight end last year. The new Bengals tight end could be usable in fantasy immediately. Though he’s not a top tight end option, if you use a streaming approach, Eifert will be a nice fill-in every once in a while. All off-season we’ve heard the Texans needed a number two wide receiver to play behind and take pressure off All-Pro wide receiver Andre Johnson. The Texans didn’t sign any big name receiver, which meant the draft would be where they turned their attention to. And the draft is where they got their man, taking Hopkins. The theme of these first round offensive skill players has been opportunity, and Hopkins fits the bill. After Jonson and tight end Owen Daniels, quarterback Matt Schaub has nobody else to throw to, and that should provide Hopkins plenty of targets. What he does with them will be the question though. Hopkins had a monster 2012 season playing at Clemson, hauling in 82 catches for 1,405 yards and 18 touchdowns. Can that really transfer to the NFL? He’ll will be 21 once the season starts, and if you want some comparables, RotoViz has a nice table of 21-year old rookies that performed well in their debut seasons. He’s in good company with names such as Percy Harvin, Hakeem Nicks and Larry Fitzgerald. Really, the number two wide receiver job should be Hopkins’ for the taking, and if that does come to fruition, look for Hopkins in the WR3/4 range. The second wide receiver and last of the offensive skill players drafted in the first round was Cordarrelle Patterson. The Vikings traded up to select Patterson, making him their third first round pick of the night. New wideout Greg Jennings and tight end Kyle Rudolph should be Christian Ponder’s top two targets, but after that, Patterson would have a good shot at being a part of the offense. Of course, the downside for Patterson is that Ponder is the one throwing him the ball. Just like the other rookie receivers that were drafted, it’s wait and see mode with Patterson. I’d slot him as a WR4/5, but you might want to hold off on Patterson in your non-dynasty fantasy football drafts for now. He’s got a lot of development to do with his game.